Pro Tour Battle for Zendikar has come and gone. During our main phase we look at the outcome. Who made top 8? Who took home the trophy for BFZ? We also talk about several other highlights of the pro tour. 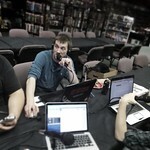 And of course, we talk about a host of other topics during all the phases of the MTGYou podcast. We talk about our first impressions of Battle for Zendikar. Is this set easy to figure out or is it throwing us a curve ball? Listen in and find out.